Thomas is a student of the past, who finished his undergraduate degree in History at the University of Leeds in 2017. 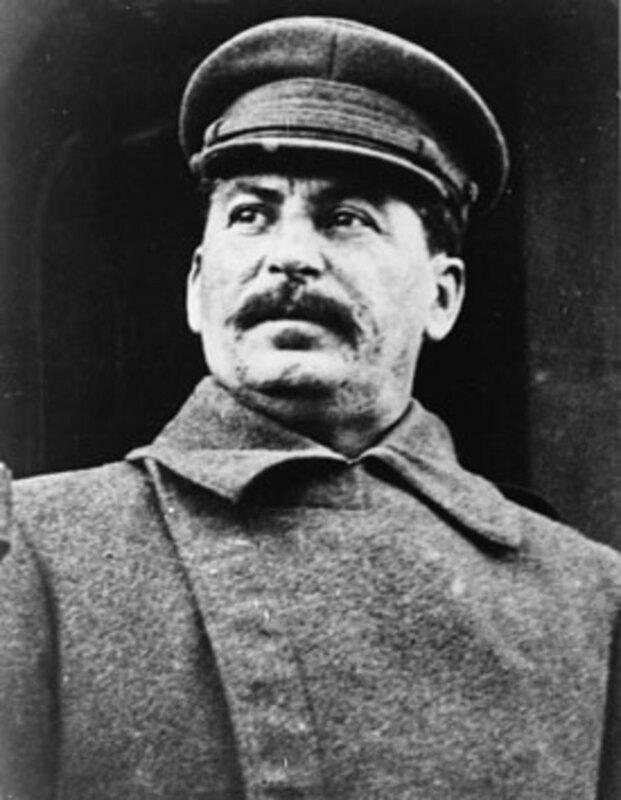 Joseph Stalin, leader of the Soviet Union following Lenin's death in 1924 up until his own death in 1953. Orthodox historians view Stalin as an aggressive expansionist who aspired to spread world communism. The quote argues that Soviet desires were understood and accepted at first, and why wouldn't they be? The Soviet Union had come out of the Second World War as one of the worst hit nations; with 27 million dead, hundreds of thousands homeless, and infrastructure devastated, it made sense to the Western powers to think that the Soviet Union just wanted to prevent further attacks against by setting up a defensive 'buffer' zone of Eastern European countries. However, as situations developed the western perspective changed to one of an antagonistic stance towards the USSR. 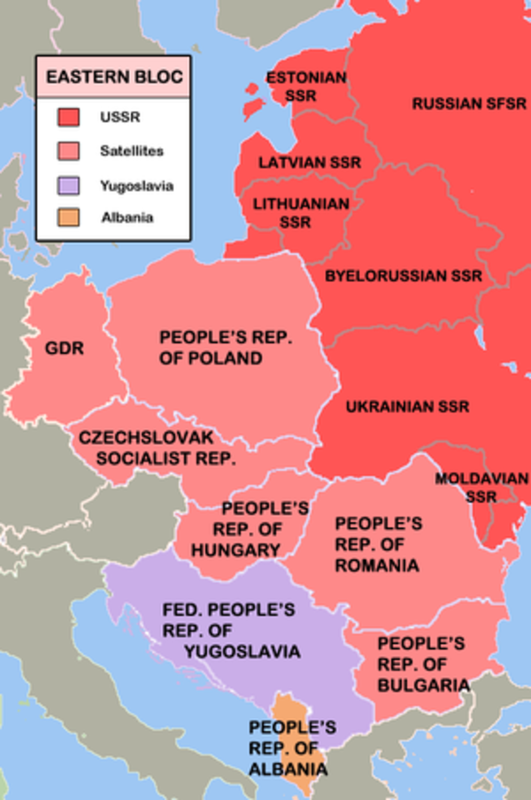 The western view changed because the USSR was seen as trying to aggressively impose its rule upon Eastern Europe. 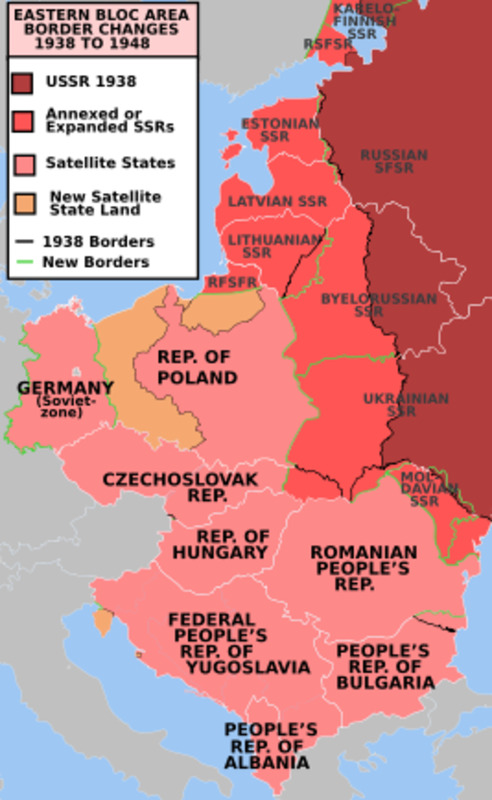 In the 'buffer states' (Poland, East Germany, Hungary, Bulgaria, Romania and in 1948, Czechoslovakia) Soviet rule was aggressive and oppressive, as there was a significant Red Army presence left over since the war which imposed Soviet laws upon the populations. Furthermore, the Soviets were regarded as expansionist due to their betrayal of the points put down at the Yalta Conference, which stated that the Eastern European countries, particularly Poland, were to have 'fair and free' elections. The Soviets betrayed this by appointing communist officials into coalition governments, which were slowly taken over completely by pro-Soviet politicians as the rest were removed, arrested or secretly killed. This demonstrates to the orthodox school of thought the USSR tightening its grip. The Eastern Bloc of 'buffer states'. Yugoslavia was an independent communist nation and as such not under Soviet control. The view that the Soviets were strengthening their hold over Eastern Europe can be seen in the establishment of 'Cominform' in 1947. Cominform, similar to its precursor Comintern, was set up to consolidate and coordinate the communist parties and groups throughout Europe, further increasing the Soviet sphere of influence. As a result of these events orthodox historians view US actions as a response to Soviet aggression. Orthodox historiography comes from the views in the west at the time, which means it has its limitations. All instances of communist growth were viewed by the western powers as examples of the Soviet Union's aggressive foreign policy, regardless of whether or not the USSR was actually involved. This was because the west saw all communist movements as one large communist group, and failed to differentiate between different communist groups, which often had conflicts themselves (such as the Tito-Stalin Split). The quote mentions the extension of Soviet influence into Western Europe, which can be seen in the significant gains made by the French and Italian communist parties, which spread fears of the spread of communism. 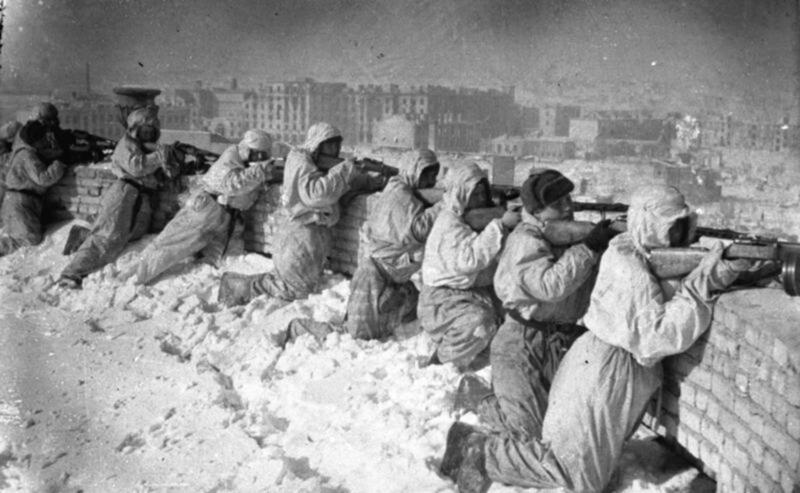 Westerners viewed events such as the Greek Civil War in 1946 and the Czechoslovakian Coup in 1948 as examples of the Soviets aggressively taking over Europe. However, these two events cannot be considered examples of Soviet expansionism. In keeping with an agreement with British Prime Minister Winston Churchill over spheres of influence, Stalin stayed out of Greek affairs and sent no aid to the Greek communists during the conflict (interestingly, Tito, leader of Yugoslavia, did send aid to the Greek communists, which angered Stalin, another example of conflict between communists). Similarly, the Czechoslovakian Coup was not instigated by the Soviets, nor were they involved, although they certainly didn't condemn the coup. This suggests that the view that the USSR was aggressive and seeking to spread world communism was exaggerated by the west and that they misinterpreted communist actions at the time. However, another event that can be considered an example of Soviet expansionism was the Berlin Blockade in 1948. This was when the Soviets blocked off entrances into West Berlin in an attempt to force the western powers to give the Soviets practical control of the city, which would have placed the whole of Berlin under the USSR's control (like Germany, Berlin was also divided up between the allies) and it would have removed a western stronghold within Soviet territory, as the entirety of Berlin existed within East Germany. In response, the western powers began to airlift supplies into West Berlin, which was very successful, forcing the Soviets to stop the blockade and giving the west a significant victory. 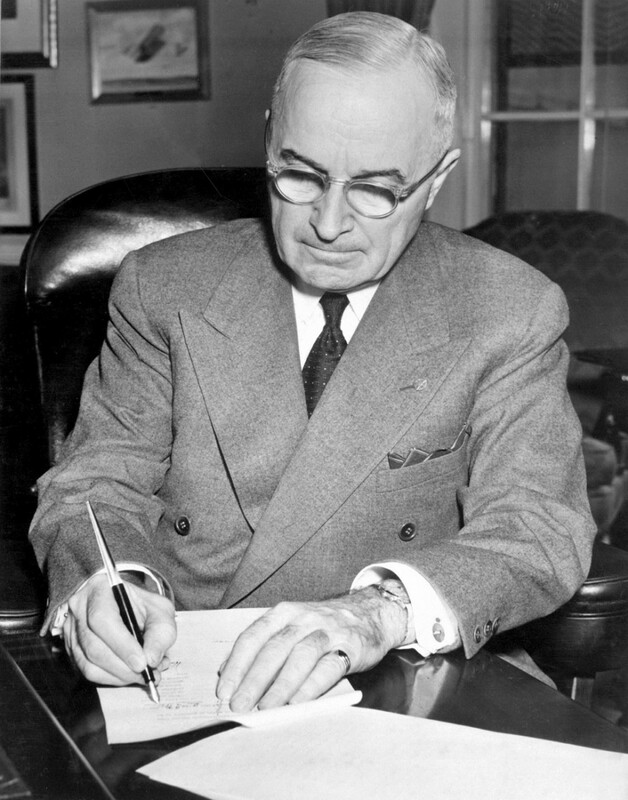 Harry S. Truman, President of the United States from 1945 to 1953. A strong anti-communist, relations with the USSR began to fall after he replaced the more lenient Franklin D. Roosevelt. Whilst the actions of the Soviets are easy to view as aggressive, many historians, called 'revisionists' view the Soviet Union as acting defensively. For example, the previously mentioned Berlin Blockade was initiated in response to the American and British zones of West Germany combining to create 'Bizonia', as well as due to the introduction of a West German currency. These were viewed by Stalin as the west creating a new and strong capitalist West German state, something he feared due to the German's actions against the USSR over the years. "Since the USSR could not hope to compete on equal economic terms with the USA immediately after the Second World War, Stalin concluded that the only policy available was to withdraw the Soviet Union behind its new defensive east European barrier"
"Germany became the new front line in this defensive system"
This idea would further explain the justification of the Berlin Blockade, as Stalin felt overly sensitive over Germany, regarding it as instrumental to Soviet security. This concept of a defensive rather than aggressive USSR challenges the view that the initial Cold War developments were resultant from Soviet expansionism. This leads on the revisionist idea that the developments in US-Soviet tensions were due to US economic interests. "...the US hoped to keep high levels of military and government expenditure. As a result, the USSR was portrayed as aggressive and threatening"
From this view, it can be viewed that the idea of Soviet aggressiveness was largely a US fabrication in order to give an excuse to keep military spending high. This can be seen through George Kennan's (A US ambassador to the USSR) 'Long Telegram', and Winston Churchill's 'Iron Curtain' speech, both of which were anti-communist in nature and regarded the Soviet Union as aggressive. They were influential in shaping western opinions and, the 'Long Telegram' particularly, influenced government policy towards the USSR, such as the policy of 'containment'. Foreign policy was furthermore influenced by what was called the 'military-industrial complex'. This was the link between the armed forces and sectors of the economy which were reliant on defense orders. Individuals and groups who benefited from defense spending gained considerable power and influence, and as such would have swayed government policy, keeping spending high and consequently making more profit. 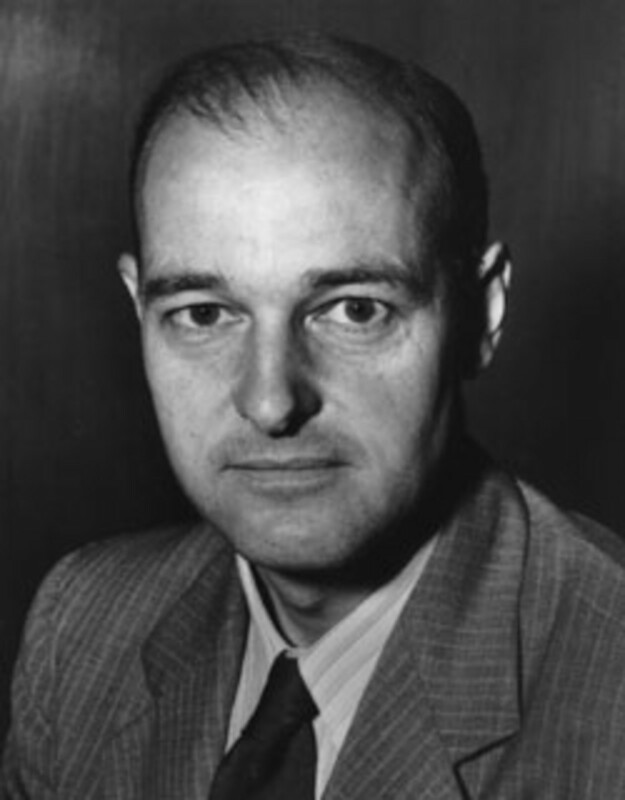 George F. Kennan, an ambassador to the USSR in the early years of the Cold War and a leading authority on it. Nicknamed the 'father of containment' for creating the basis for the American foreign policy. Two major initiatives were introduced in this period in order to keep military expenditure strong and to prevent the spread of communism; the Truman Doctrine and the Marshall Plan. The Truman Doctrine stated that the US would send aid to any country that was under the attack of armed minorities, specifically targeted at communists, and was used to send military aid to the Greek monarchists during the civil war, thus attacking communism and keeping spending up. The Marshall Plan shortly afterwards provided financial aid to war-torn Europe, largely through grants which didn't have to be repayed. It helped to improve the European economies, which enabled the American economy to stay strong as it meant Europe could establish greater trade with the US. The Marshall Plan had the ideological concern of preventing communism in that an economically devastated Europe was an ideal breeding ground for communism, and so improvements would halt communist activity. For revisionists, the plan forced the USSR into a defensive position as firstly, it strengthened capitalism in Europe which is the ideological opposite of communism, and secondly, by offering the same financial aid to the USSR. The aid was refused and the Eastern Bloc countries were forced to refuse it as well, as Stalin felt that he couldn't let the Soviet Union become financially dependent on the US, which forced the Soviets to respond defensively as western economies improved. By keeping relations in a continued state of tension the US had an excuse to keep military expenditure high and improve their country's position. 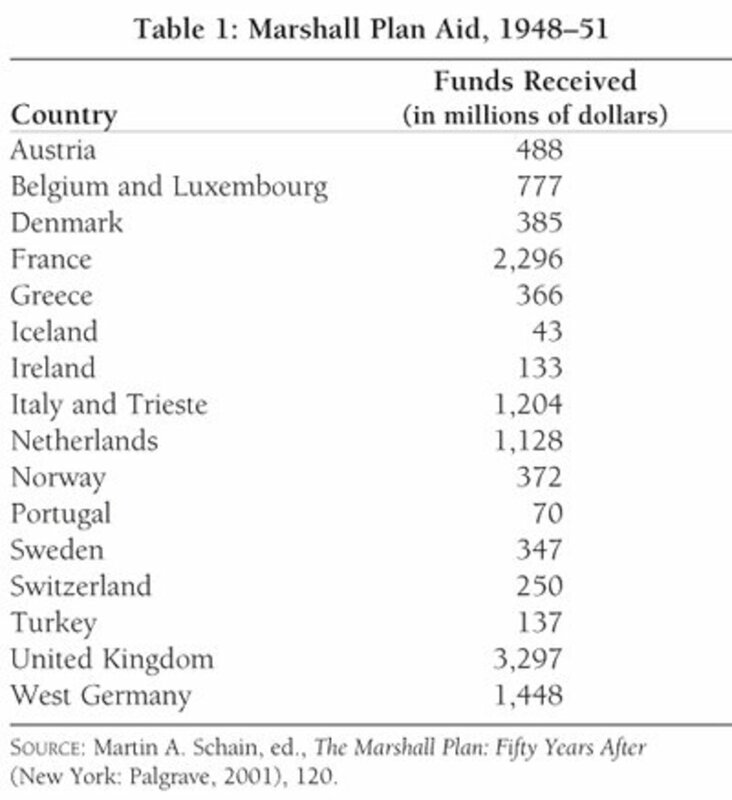 A table showing Marshall aid to European countries. To conclude, the actions of either party can be seen as aggressive or defensive, but I would argue that the nature of this period and the complexity of the chain of events makes it too simplistic to place the blame solely on one side or the other. The development of the Cold War owed more neither to the US or the USSR and must be viewed as a series of responses that built up over time due to fears and perceived threats. Thank you for taking the time to read this article. I hope it was interesting, and please feel free to let me know of any mistakes or anything that you feel should be included, and I'll happily make changes. This article is adapted from an essay I wrote for my Edexcel A2 History course 'A World Divided: Superpower Relations 1944-1990'. 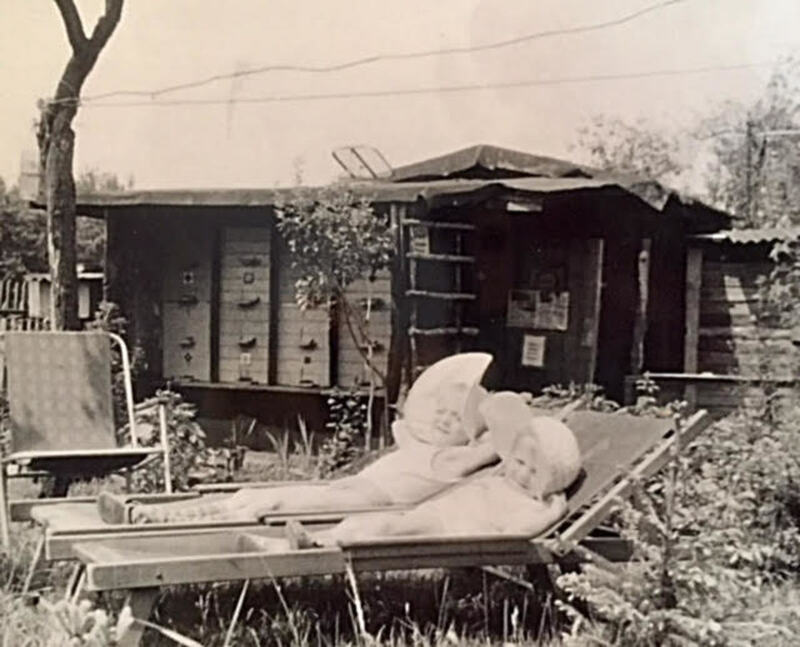 The title of the essay was 'How far do you agree with the view that the development of the Cold War in the years 1945-1948 owed more to Soviet expansionism than to the USA's economic interests?' which I answered from a historiographical perspective. This article is designed to be helpful for anyone in this particular History course, as well as for general interest. If anyone would like a copy of the actual essay, which I received 35/40 marks for, please let me know. Thank you. I'm doing my A-level history coursework, and my essay question is related to how far was Stalin to blame for the Berlin Crisis 1948-9. Would you be able to show your actual essay as yours did so well? Also, any tips would be useful! Unfortunately it's been a long time since I first rewrote the essay into the article, and I no longer have the word document. The article itself is a faithful rewording, everything that was in my essay is in the article. As for tips, the main things to keep in mind is staying focused throughout and always bring everything back to the question: start each paragraph with whatever point you're making, back up the point with evidence, and then show why the point is relevant to the question. So for example, you might start a paragraph by arguing that the US was partly to blame; then follow that up with evidence (For example, the Marshall Plan antagonised the Soviets, the Truman Doctrine, and whatever else you think backs up the argument), and then bring it back to the question, e.g. these actions by the US pushed the Soviets into the Berlin Crisis. Always keep the question in the back of your mind, so you don't go off on tangents and start talking about things that aren't relevant.